Welcome back Commander! The last misson gained us much needed supplies, and left the enemy weaken! Now, we just need to focus on getting our troops. We have located another base not too far from here that has captured troops from our side. Your new mission is too get in and get out. 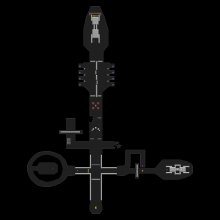 You can sneak into the base, get our guys, and fly out on the enemy dreadnaught docked that. Good luck!